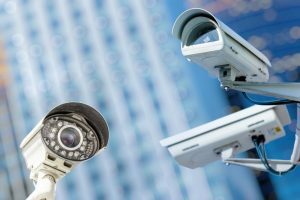 Are Commercial Properties Required to have Security Systems in Colorado? Security systems installed in public places and on commercial properties are common and legal, as long as they are not placed in areas where privacy is guaranteed (restrooms, lockers, hotel rooms, etc.). Colorado does not require commercial property owners to install cameras on their properties, so it is a matter of their own choice. Those who install such systems typically do it for security reasons and to monitor the activity of their business. In commercial buildings, there is a constant flow of money and visitors. Clearly, every business owner wants to avoid risks and protect their business against potential threats: robberies, theft, armed attacks, unsuitable buyer behaviors, inappropriate behavior of the staff members etc. Installing video surveillance commercial security systems in Denver is helpful in getting rid of these concerns. Nobody claims that such a system is a panacea for all the bad things that may happen, but it is a good way to increase your protection level. You do not need to be a good psychologist to understand that a “Beware, bad dog” sign put on a gate will have a deterrent effect on whoever wants to enter that property. So is the “video surveillance” indicator. Of course, the surveillance system itself will not catch the thief, but it will provide helpful data to be captured and recover the damage. Knowing that there are video cameras, employees will be more disciplined, which will solve the problem of low productivity. We provide our valued customers with the best products available and professional installation services. We also offer free designs & quotes! Contact us today for more information.